Fired-up Australians and Argentina out to claim Fiji’s scalp in New Zealand. The Fiji Airways Fijian 7s team are not going to have their way at the Hamilton 7s in New Zealand on January 26-27. Despite going in as the Cape Town 7s winners and Hamilton defending champions, the Gareth Baber- coached side are expected to face a revamped Australian side and a well- prepared Argentinean team during their pool games. According to news.com.au, Australian 7s head coach Tim Walsh had openly lashed out at the players after they finished seventh in Cape Town. They are on 25 points and in sixth place overall after the stop in South Africa. “Underperforming on day two and unacceptable commitment to defence has cost us valuable series points,” Walsh who coached the Australian women’s 7s team to win gold at the 2016 Rio Olympic Games said. “There are three key on field components to being a world class sevens team and we did not perform in two of these areas. “Our attack was the highlight but at this level you have to be your best in every moment in all facets. The Fijians are top seed for Pool A where they face Australia, Argentina and Wales. The tournament will be played at the FMG Stadium in Waikato. 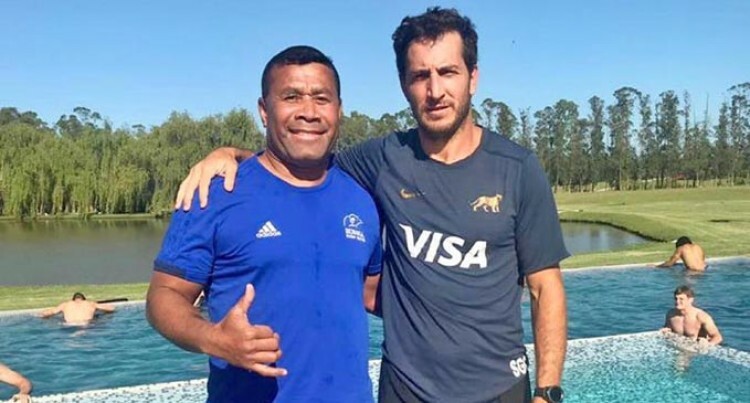 Meanwhile, Argentina put on an impressive performance on day one of the 2019 Punta del Este 7s in Uruguay. Argentina were the top seeds in Pool C and finished the day with the most tries and best overall record. They walloped Brazil 40-0 to open their campaign and followed it with another 47-0 win over Portugal. In their final pool game they came back strongly in the second half to thrash Canada 35-5. Also, Waisale Serevi in his first outing as Russia’s head coach had a slow start in the tournament. They lost 26-5 to South Africa’s Academy, 26-10 to Uruguay before escaping with a 14-14 draw against Colombia.